Still having computer problems, but your humble blogger shall attempt to bypass them through using his newly acquired Kindle Fire. (A very cheap $50 for what it does.) Blogging on this shall prove less vexatious than using a cell phone and will suffice for the time being. At any rate, I have decided on Windaria to be my first movie of the series. This fantasy displays some great animation and offers the audience a poignantly tragic anti-war tale; though, considering how many mistakes were completely avoidable and unnecessary, I don’t think that they carried their point. Our story begins with Izu and his wife, Marin, selling their vegetables in the capital city of Itha. While in town, a saboteur attempts to flood this city by opening the dikes. (Itha is very reminiscent of Holland with its dikes and windmills.) Izu thwarts this plan, but receives scant recognition at the court of Itha for saving their capital, which will lead to Izu’s easily being taken into Paro’s, the enemy country’s, service. 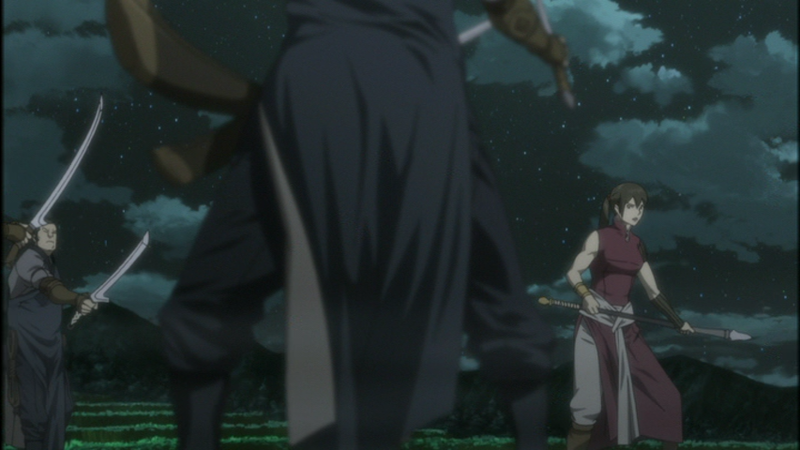 The court learns from the captured saboteur that Paro employed him, and they begin to take measures for their defense. Attack on Titan or Titan Smorgasburg? 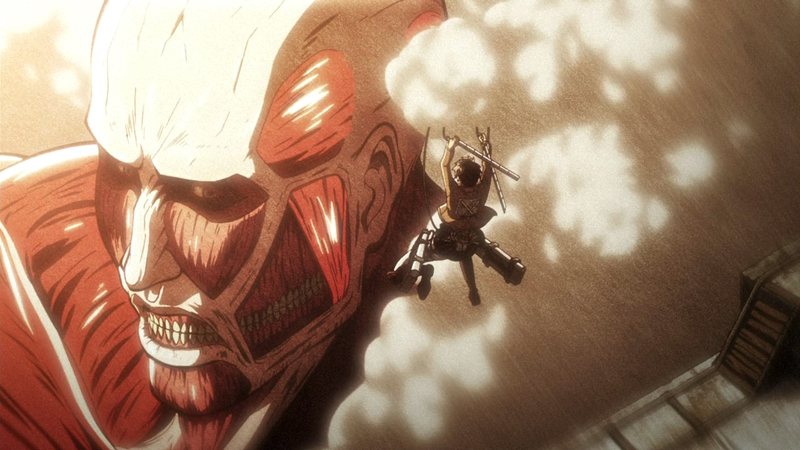 Attack on Titan has produced many articles and no doubt much expenditure of midnight oil on the blogosphere. 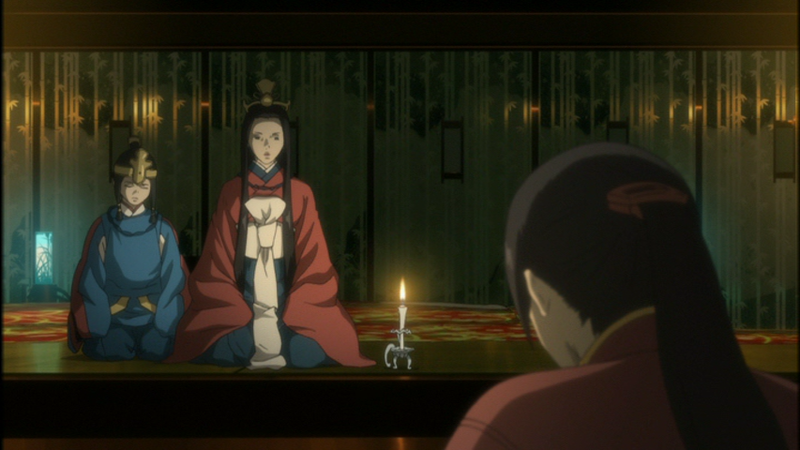 Certain reviews claimed that it has a slow start, but overall positive things have been said about this rather unique show with a high production value–if the animation is anything by which to judge. During a period of boredom one day, I decided to give this show a shot, especially since the monster-slaying genre is so dear to my heart. At any rate, I remember delighting in the great visuals and animation provided by this show. The frequent use of still images was interesting to see and contained beautiful detail. While I found the characters to be rather mundane, the setting and plot made up that defect; though I confess that Mikasa was an interesting childhood friend character. 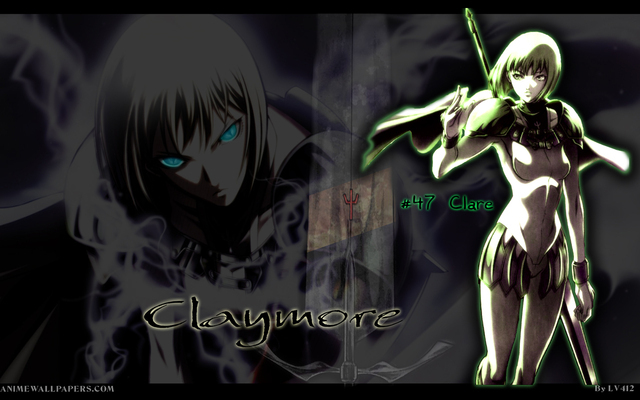 I quickly came to the conclusion that this show was a cross between Claymore and Chrome Shelled Regios, both of which I enjoyed–the former greatly and the latter to a small degree. The second episode allowed us to see a scene of carnage as countless victims fall to the titans’ vicious attack, including the protagonist’s own mother. I became embroiled in the protagonist’s anger toward the titans and his desire to rid the world of these monsters. So, it was with great expectancy that I endured the boot camp episodes. (I say endured because its impossible to enjoy a boot camp filled with stock characters.) How I waited to see the main character’s revenge! However, my perseverance ended with episode five. 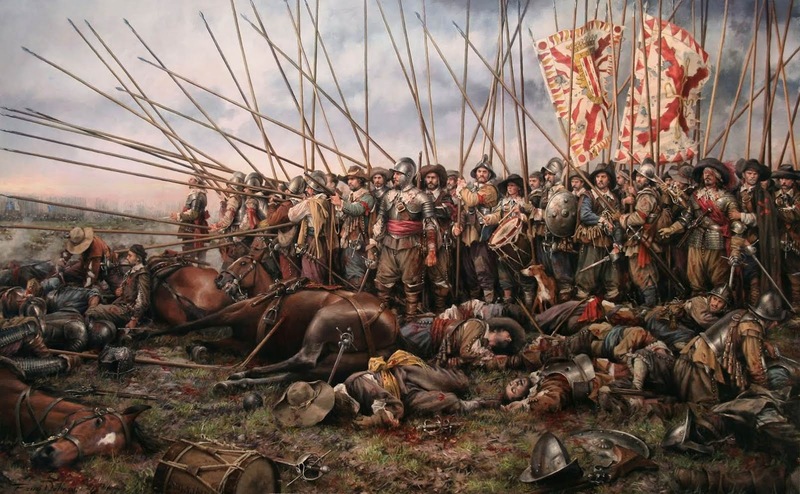 Rather than a rousing counterattack by our heroes, we find that they themselves are getting slaughtered as a repeat of the second episode ensues. Even the hero gets swallowed and loses an arm! This resulted in my desire to see the humans mount a counteroffensive fizzle out. A writer can only torture the audience so much. 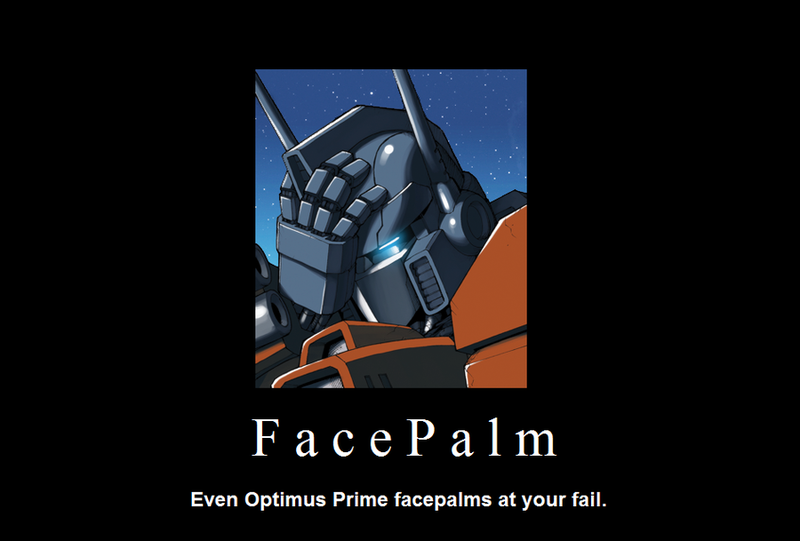 Another thing which irritated me was the ridiculous method they devised to slay the titans. Going after them on wires as if they are in a Kung Fu movie! Seriously? 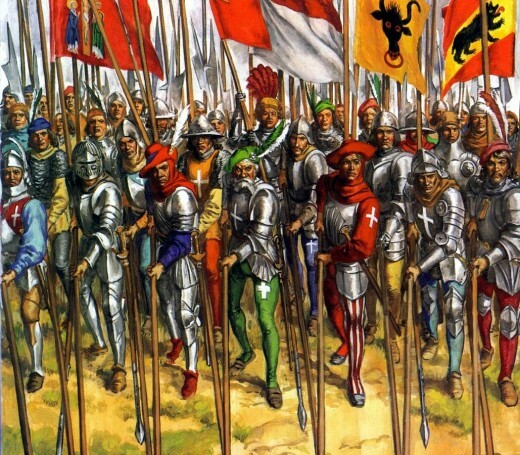 An easier solution with their technology would have been to form masses of pike men supported by people wielding powerful two handed weapons: pole axes, claymores, true two handed swords, halberds, battle-axes, etc. 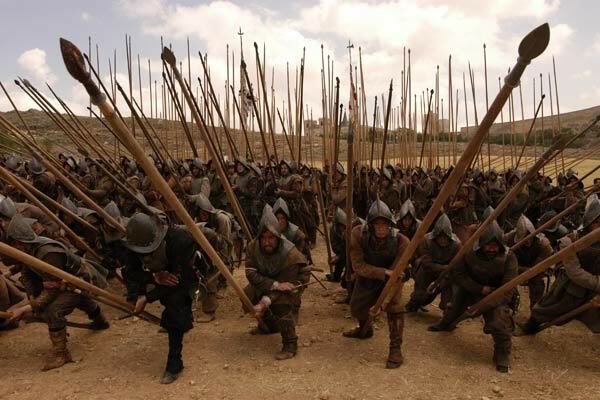 The pikemen should form bristling, coruscating forests of 30 foot pikes in order to halt the titans’ movements and give the other men cover to cut down the titans’ Achilles tendons so that the titans fall to the ground where they may be more easily dispatched. Also, the roads of these towns should be booby-trapped so that whenever something with the weight of a titan steps on it, they fall into a pit of sharpened steel rods so that they can be finished off. They should also be willing to set the towns on fire whenever the titans invade in order to stall their movements. (They can’t be impervious to fire, can they?) As you can tell, I’ve given too much thought about this, but it comes of being a medievalist. But, it was mostly the utter hopelessness of these five episodes which made me decide to drop the show. All the hero’s hopes and oaths turned out to be mere bluster. It seems as if the humanity of this world is about to be wiped out, and the show failed to make me care deeply enough about their fate. But, if it does get more hopeful after episode five, please let me know. I’m not a masochistic reader! 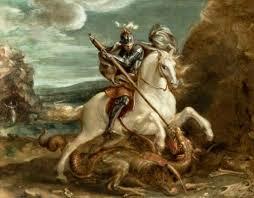 A famous monster slayer, St. George! In the middle of the night, Balsa is summoned before Chagum’s mother. (In this political system, it feels a stretch to call her an empress.) His mother begs Balsa to take Chagum away with her and to guard him from assassins. You see, dear readers, Prince Chagum is an embarrassment to the state due to him carrying about a water spirit inside of him; so, his own father, the emperor, is sending assassins after him who are trying to make his death look like an accident in order to prevent the dynasty from losing face and possibly causing civil unrest. Balsa thinks that she has no choice but to accept; however, she consoles herself with the fact that this mission will atone for her eighth life. After burning down the prince’s quarters to delay pursuit, she exits the palace with Prince Chagum in what will be a long bodyguard assignment. 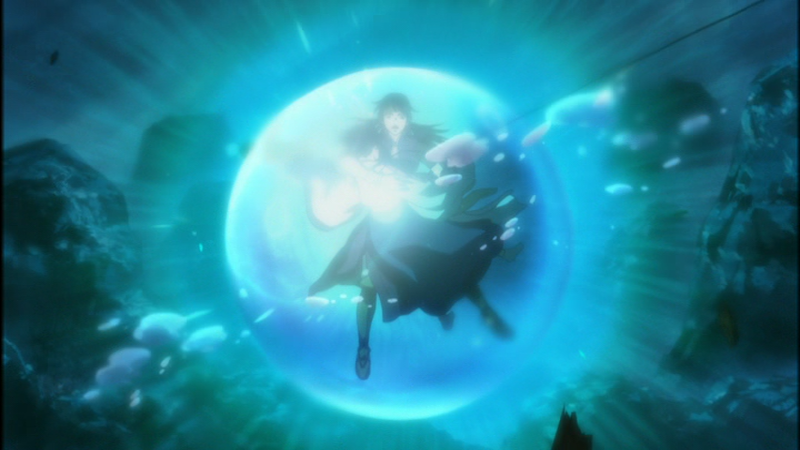 Seirei no Moribito‘s plot ranges from slow, character building episodes involving the maturing of Prince Chagum and gathering information about Chagum’s spirit to moments of extreme danger and action as Chagum’s pursuers clash with Balsa. So, while the heroine’s spear does remain sheathed much of the time, the viewer never lapses into boredom: either we are kept at the edge of our seats by imminent danger and spear-play or we enjoy the interaction of the characters, who are incredibly likeable. Perhaps because Moribito derives from a series of light novels, the world of this series is remarkably detailed and enjoyable to learn about: the culture, myths, imperial customs, and the interaction between the spirit world (Nayug) with the ordinary world add interest without bogging down the viewer in too many details. Further, the series has a distinct intellectual appeal due to the maturity of the characters and its use of parallelism. The characters all seem very real, as if some of the people we know were somehow transported into a fantasy setting. However, they have to work in a world where honor and strict social morays influences everything they do. 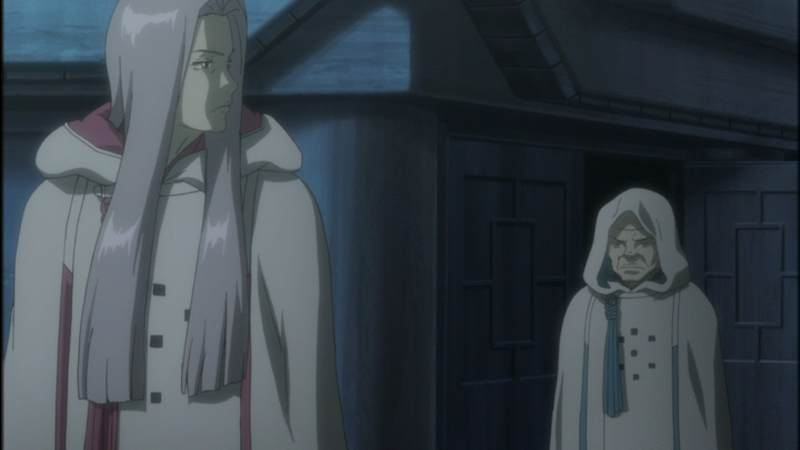 At the same time, Moribito resists the temptation to over-psychoanalyze. Concerning parallelism, character’s roles and their actions are constantly being juxtaposed by the plot: we compare Balsa to Chagum’s mother, Balsa to the man who raised her, Balsa’s father to Chagum’s mother, Chagum to the young Balsa, etc. This serves to render the plot and the characters that much deeper. This show also features some great animation. The backgrounds portraying forests, mountains, and the world of Nayug can be particularly breathtaking. Character animation stands above average, while the use of CGI is limited to large troop movements and other large bodies of people, which stands out as the weakest part of the animation. Fortunately, the animators do not employ CGI enough to detract from the overall effect of the splendid animation. Overall, the only anime fan to whom this series would not appeal is the kind who thrives on action. 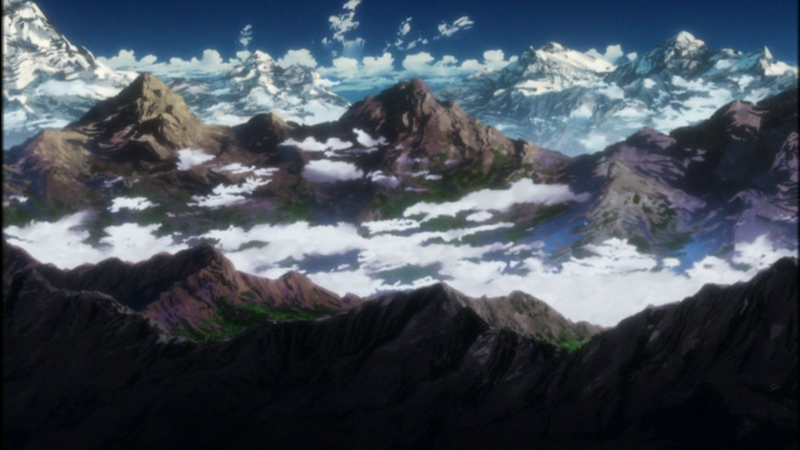 The action sequences, though awesome, are fewer than one would find in a standard action/adventure anime. 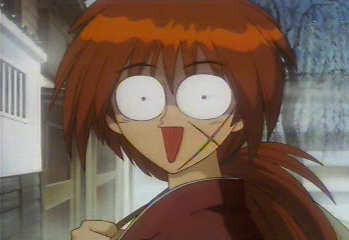 If you cannot stand seeing characters’ weapons sheathed, by all means watch Jubei-chan II. (This little mentioned show has some of the best sword fights ever animated, while at the same time having some of the blandest characters, most failed attempts at comedy, and weakest plot of any series. But, the fights are worth the agony of sitting through the other stuff.) So, take the time to enjoy this show, and, if possible, ask your parents to watch it with you–you just might convince them that anime’s not completely weird.